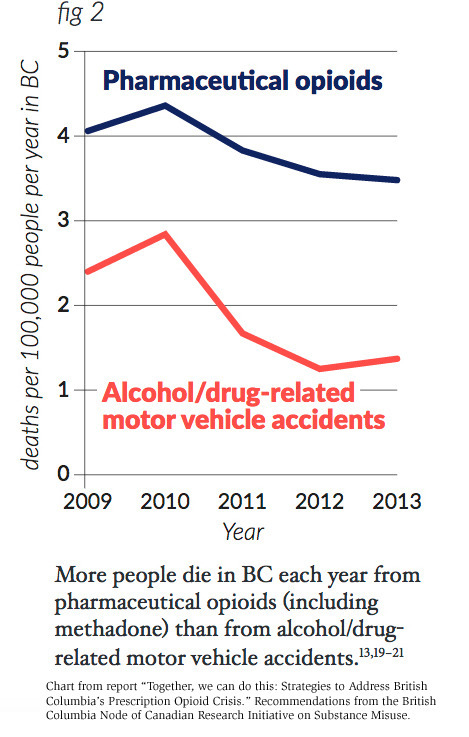 People on high doses of opioid prescriptions are being weaned down as the B.C. medical field responds to research revealing harms. It's an agonizing journey for those caught in the middle of the medication crackdown in B.C. The torturous pain refuses to ease, and Craig Koehl says he can hardly cope with life, let alone get anything done. The torment makes it impossible to sleep and the pain has been constant and agonizing for more than a month, ever since his doctor started decreasing his medication. The Terrace resident says he has been on strong painkillers ever since an accident nearly 12 years ago. Koehl says he was walking across the street when he a car slammed into him, launching him into the air and down on his back. The accident left him with severe neck and back pain, and he has been on medication ever since. But several months ago his medication started being decreased, prompted by a provincial shift in the medical field when new regulations were issued by the College of Physicians and Surgeons of British Columbia last June. 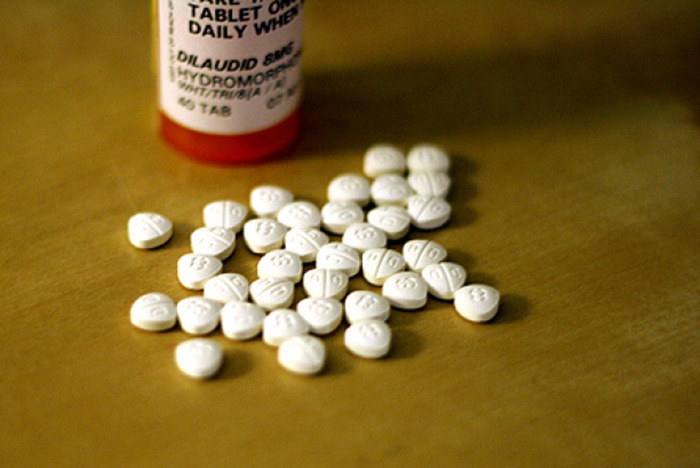 The college’s professional standards and guidelines are legally enforceable and meant to limit the prescriptions of strong painkillers known as opioids. They were issued in response to research identifying alarmingly high amounts of opioids being prescribed in B.C. and increasing misuse of those medications. In tandem with the new regulations, new doctors have moved to Terrace and are reviewing patient files, required now to take careful stock of medication use. Doctors cannot continue prescribing medications simply on the basis of a past prescription, read the college regulations. It adds that long-term opioid treatment has only modest benefits and significant risk for treating chronic non-cancer pain. With an exception for people with cancer or in palliative or end-of-life care, and those on methadone, the standards define a reasonable dose as below 50 mg morphine equivalents (50 MME). “Doses greater than 50 MME per day warrant careful reassessment and documentation. Doses above 90 MME per day warrant substantive evidence of exceptional need and benefit,” the regulations state. For Koehl, those regulation has meant his medication has been decreased from a 60 MME daily dose (two 30 mg pills of morphine), down to a 40 MME dose over the last number of months. At one point, the dose he was getting went as low as 30 MME, but the doctor increased it a week later when Koehl explained his misery. It has been an up and down journey over the last 12 years for Koehl, who started at a 48 MME dose (three pills of 4 mg of hydromorphone). But his tolerance grew over time, worsening his pain and requiring a higher dose. “I was on them for quite a while… but then I got immune to them,” Koehl explained. Over the last number of years, his dose has climbed and bounced around, and Koehl says his pain has been manageable, though never fully gone. Up until a few months ago he has been able to work, but that changed when he started being weaned off his medication. With his new dose, Koehl says he struggles with pain daily and can barely work or cope. Another resident who has been struggling under the changes is Mandy (not her real name). Involved in an accident in 2002, she has suffered with chronic back pain ever since. For nearly 13 years, Mandy was on Tylenol 3 Codeine (T3s) without much investigation into the source of her pain, she said. She has a bulging disk in her back and finally a year ago she was diagnosed with degenerative disc disease, which was later deemed by a specialist in Vancouver to have no real treatment. “There is no surgical solution for this category of patients,” reads a report from the specialist who reviewed Mandy’s case. In March this year, Mandy started taking a 30 MME dose of M-Eslon (or morphine sustained release). It helped with the pain for a while, but her dose had to gradually increase as her tolerance grew. Over time, in order for her to carry on her part-time job, her dose climbed to 90 MME and then as high as 120 MME, hydromorphone and then M-Eslon. Her doctor retired early this fall and her new doctor started reviewing her files. After a few weeks, concerned about the substantially high dose of opioids she was on, her doctor started decreasing her medication. For several weeks she could scarcely function, barely able to even take a shower because of the pain that shot through her when she tried to bend. When she asked her doctor about a plan for dealing with her disease, Mandy said she was told to wait and see. Mandy noted that it was especially frightening because she has a degenerative disease which would only get worse over time. Mandy felt like she was being treated like an addict, even though she had never misused her medication and had always followed doctors’ instructions. “I’m not abusing the medication… I want to work and if this medication is helping me get through work, then why not?” she asked. For a number of weeks, she endured the agonizing pain while her body adjusted, at times battling thoughts of suicide. “If I’m off this medication, I don’t know… I just know that I’m not going to live like that… I can’t live with this pain every day,” she said. Mandy says things have been improving now as her doctor gets to know her. He has slowed her medication decrease, so she can cope a bit more easily, she said. But the journey is not over. Though it is a necessary adjustment for overall health, it will be a daily battle for many people while their bodies adjust to lower amounts of medication.